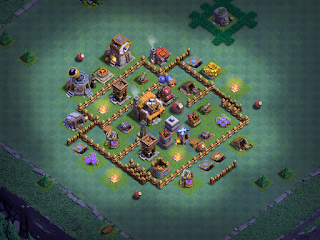 Builder Base Strategy - When should I upgrade my Battle Machine? One of the topics that keeps coming up in BB strategy threads is when is the best time to upgrade the Battle Machine? The Battle Machine provides a major tank at early BH5 and seals the deal mid-to-late BH5. A level 5 Battle Machine is absolutely essential to success at BH6 and as you get closer to the point of upgrading to BH7, you'll want it at level 10. So...what's the best upgrade path? 1) The Battle Machine should be one of the FIRST things you should GET at BH5. Let's get this one out of the way right off the bat - once you hit BH5, the very first thing you should do with your elixir is get the Battle Machine. You don't need to upgrade it at all; just get it for the tanking value. Of course, you'll be upgrading your storages to have the capacity required to repair the Battle Machine, but prioritize this for the first few days. 2) The Battle Machine is one of the LAST things you should UPGRADE at BH5. This may seem a bit counter-intuitive, but stick with me for a minute on this one. As a new BH5, you'll be facing mostly other BH5 opponents. Sure, the occasional BH6 is going to sneak in there but you're probably somewhere between 1500-2000 trophies and that's stocked mostly with high level BH4 and various level BH5s. Once you have the Battle Machine, you need to apply your elixir to upgrading key troops and the gold storages. The Battle Machine, levels 2 thru 5, costs you 4.6M elixir; your trophy level is still pretty low, so that means you'll be taking weeks of daily raids under the loot cap just pushing to level 5. It's much better to have upgrade key troops and defenses. Unless you gem, in which case, hey - go for it! 3) Postpone upgrading to level 10 until late BH6. That's 22 days of saving elixir at max loot (3000 trophies and higher). Additionally, each upgrade will take 1 day to complete and your Battle Machine will be unable to attack during that time, so you're actually looking at closer to 24 days to get it done (assuming silly things like sleep, work, life...). Again, if you gem...knock it out and move on. 4) Get the Battle Machine to level 10 before you upgrade to BH7. Ideally, you'll want your Battle Machine at level 10 when you pull the trigger on the BH7 upgrade. Word on the grapevine is that we'll have TEN levels to upgrade at BH7 and the last thing you want is to be pushing more if you can avoid it. Rushers will likely prioritize the level 10 upgrade for just this reason. However, we've no idea when BH7 is coming - it could be this week, it could be a month from now...it could be even further out. I'm firmly in the camp of waiting because I've seen the impact of the troop upgrades and find BH10 has no real benefit over BH5. There are my recommendations on when to upgrade the Battle Machine. Hope you find it helpful - comments at the break!